Zawya Short Film Festival announced the five winning films as it concluded on 2 February. 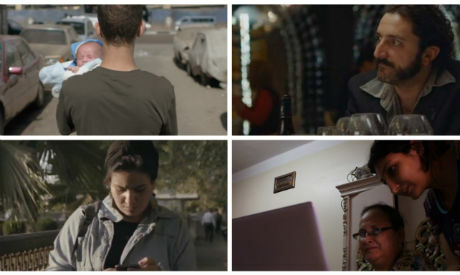 Sameh Alaa’s film Fifteen scooped the two top prizes; earning the Best Film award from Red Star Films (EGP 15,000) and the Best Director Award from Misr International Films (EGP 10,000). The film is an examination of trauma. Set on a hot summer day, it follows a teen boy who makes his way through the bustle of Cairo with a baby, until he arrives at a hospital and we learn the story behind his muted expression. The Jury Award from Film Clinic (EGP 10,000) went to Like the Sun, directed by Hana Mahmoud. Like the Sun centres on a young student who goes on a search for her mentor, who disappeared mysteriously. Egyptian-Swiss director Christophe Saber won the Audience Award from New Century Productions (EGP 10,000) for his film Tomatic. "Three best friends, Jimmy, Samy and Sofi, have the idea of a lifetime: transforming a chocolate vending machine into a pot-vending machine. Also, there’s a dog in the film,” the synopsis reads. Sondos Tarek’s film On My Way to the Cinema earned the Best Script award for free participation in one of the Dahshur residence workshops. The film, described as an Egyptian anthology, is composed of three standalone shorts that share the backdrop of commuting in Cairo, as it follows three young females on their way to the cinema during the Cairo Women's Film Festival. They each face different conflicts on the different means of transportation. The festival added a Special Mention award that went to Seventh Heaven by Christeen Hanna. Hanna’s film tells the story of two sisters from Upper Egypt seeking to achieve their dreams in spite of familial struggles and disapproval.